There are many approaches to performing eye exams. Some practices use technicians to perform tests and a quick visit with the doctor confirms the results. The Optometrists associated with Parrelli Optical® however prefer to take their time and get to know their patients and their visual needs. Our Doctors perform all the tests necessary for your eyes and then they discuss their findings with you and you decide on the course of treatment. More than an eye test, your visit to one of the Independent Doctors of Optometry associated with Parrelli Optical® is a complete visual analysis and a comprehensive 15 point eye health assessment. Our Doctors do much more than accurately determine your prescription. They will check your eye for common diseases like glaucoma or Age Related Macular Degeneration (ARMD) and problems like cataracts and presbyopia. In addition, many general health problems can be diagnosed early by assessing changes in the retina. High blood pressure, high cholesterol and diabetes first become visible when carefully looking at the back of the eye. 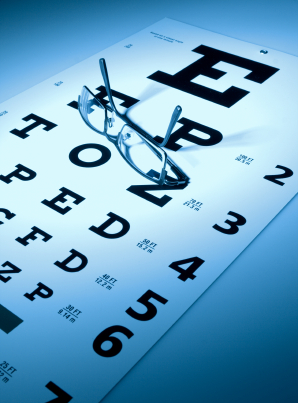 All testing is performed by qualified, independent Doctors of Optometry.